The acerbic story of a girl turning her back on life's opportunities, for fear of a little dirt. Read by Jane Collingwood. 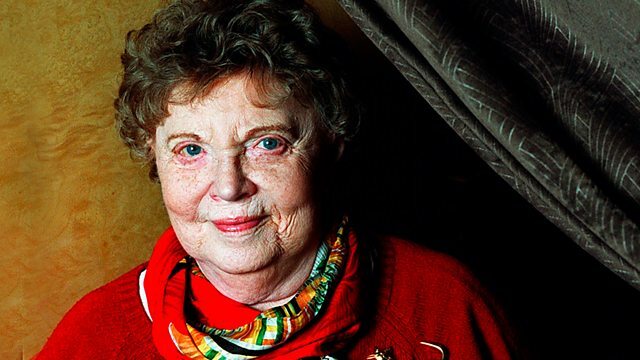 Muriel Spark had one of the most distinctive voices in twentieth-century writing, was capable of incisive and darkly-comic observation, and won prizes for her writing across the World. Spark worked as a novelist, dramatist and children's author, but it is perhaps her short stories that best exemplify her sharp eye and beautifully-crafted work, where she coolly probes the idiosyncrasies that lurk beneath veneer of human respectability. The three stories in this series include the darkly funny 'Ladies and Gentlemen', which contrasts well with the wry humour of social comedy 'The Snobs' and the sharp satire of class, aspiration and phobia in this vignette: 'You Should Have Seen the Mess', read by Jane Collingwood. Here, Muriel Spark revels in the pettiness of the British psyche in an acerbic story of a girl who turns her back on life's opportunities for fear of a little dirt.